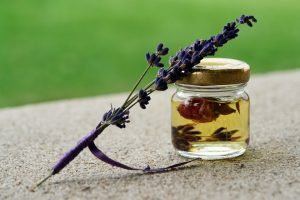 http://www.nutritionfox.com/7-health-benefits-of-lavender-oil/We as a society are very accustomed to modern medicine. We pop pills for headaches, sleep problems, stress relief, allergy symptoms, stomach upsets, and even to alleviate pain caused by injuries. But it wasn’t always that way; before the days of aspirin and antibiotics, many healers relied on holistic remedies to soothe—or even cure—common ailments. Often, this meant diet, exercise, sunlight, and water, but if you needed more than an apple a day and an hour in the sun, your healer would turn to essential oils for help. So, exactly how long have we used essential oils to make our lives better? Evidence suggests that ancient civilizations were using essential oils for their health benefits 5,000 years ago, but they could go back even further than that. 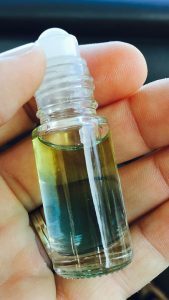 Egyptians in particular are known for utilizing essential oils for ritual and medical purposes—which makes sense, given that religious leaders often doubled as healers. Embalmers often used oils like frankincense, cedar, and juniper; these same oils were commonly used for perfumes and for their calming properties. Greek physician, botanist and pharmacologist Pedanius Dioscorides, known for his five-volume guide to plant-based healing, Materia Medica, wrote about the benefits of many of the essential oils still used today, including pine, juniper, cinnamon, frankincense, and rose. He, and many other medical authorities at the time, recognized the power of scented oils in healing the mind and the body. The first known distillation tool was thought to be developed in 3500 BC in what is now Iraq, but we have far more substantial evidence for essential oil distillation beginning during the tenth century in the Persian Empire. By the 16th century, the population was generally more literate, and printed books were far easier to come by—this made it a lot easier to record and share ideas. In the late 1590s, a German physician by the name of Hieronymus Braunschweig (gesundheit!) wrote multiple books praising essential oils which would later be translated to virtually every European language. Some of the oils he praised most highly were clove, rosemary, cinnamon, lavender, nutmeg, and mrryh. The sixteenth century is widely recognized as a sort of aromatherapy Renaissance, and we have plenty of sixteenth-century essential oil ‘Bibles’ to prove it. By the 1880s, scientists dropped a bombshell on the medical community: diseases are not caused by ‘bad air’ (known as miasma)—they are caused by a bunch of tiny critters trying to hijack your body. Naturally, everyone responded by trying to fit their favorite healing techniques into the hip new Germ Theory, and in 1887, French physicians discovered that many essential oils fought infections thanks to their antimicrobial properties. A year later, another paper reported that chemicals found in geranium, oregano and cinnamon were highly effective in killing the bacteria that caused yellow fever. Unfortunately, such experimentation led to the search for the ‘active ingredients’ in the oils, and many of the drugs we use today in the United States are based on isolating certain parts of the once-popular essential oils. Good, old-fashioned essential oils are not without their fans in the west, of course—they were a key part of treating burns and war wounds throughout World War I, and today, many massage therapists and holistic healers use essential oils to treat their patients. Traditional eastern medicinal practices often rely heavily on scented oils for healing and relaxation. Today, a growing number of us recognize the importance of incorporating healing plant foods into our diet to heal and prevent illness. 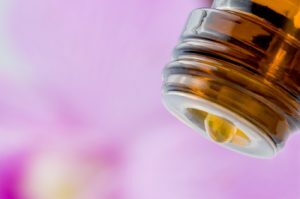 Essential oils take this principal a step further—they are highly concentrated extracts pulled out of healing flowers, seeds, roots, and leaves that contain large amounts of the ‘active ingredients’ drug manufacturers synthesize to throw into overpriced tablets. 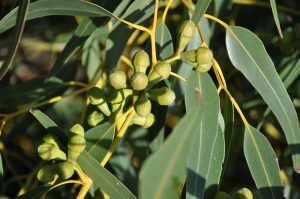 And, though they are more concentrated than they would be if you ate the entire plant, they remain far gentler on the body than most of the drugs we use today. If you have ever invested in a massage, acupuncture, or hypnosis session, you have probably experienced the benefits of aromatherapy. Your massage therapist doesn’t just have magic fingers—the smell of lavender may be doing half the work! 1. They reduce plaque, fight gingivitis, and leave your breath smelling sniff-worthy. Okay, so your significant other may not want to shove their nose in your mouth, but that doesn’t mean essential oils aren’t great for oral hygiene! One study published in 2007 found that participants who washed their mouth out with an essential oil mouthwash for thirty seconds twice per day experienced a greater reduction in plaque and gingivitis than both the control and placebo groups. Another study concluded that EOMW (essential oil mouth wash) was a “reliable alternative to chlorhexidine mouthwash.” Chlorhexidine, of course, being the active ingredient in many mouthwashes designed for the treatment of gingivitis. This doesn’t mean you can go around shoving your scented oils into your mouth! To make a safe, effective essential oil mouth wash, mix half a cup of filtered water with two teaspoons of baking soda, two drops of peppermint oil (for that minty-fresh Hermey the Elf breath), and two drops of tea tree oil. You can also use lemon, orange, or cinnamon oils—just make sure they are labeled as being safe for internal use, and don’t drink your mouth wash! 2. Lavender and chamomile will help you sleep. Flip over your favorite box of bedtime herbal tea. Chances are, next to the adorable sleeping bear on the box, you’ll find lavender, chamomile, or both. Lavender in particular has been studied many times for its ability to function as a sleep aid, and the research looks promising. Any caffeine-free beverage containing chamomile or lavender will help relax your body and prepare you for sleep. Can’t stomach the taste of these flowery essential oils? No problem—they’re just as effective if you inhale them. Mix a couple drops of essential oil into your face wash, into your pre-bedtime bath, or even into your favorite moisturizer/lotion. For an even easier approach, you can sprinkle a few drops of lavender oil onto your pillow to get the benefits of the scent all night long. 3. Peppermint oil can get rid of stomach upsets. Maybe you love spicy foods, maybe you’ve been stressed, or maybe you just have a finicky digestive system that likes to gnaw holes into your esophagus. Peppermint oil, which is one of the few that is safe to take orally, can be a great solution for mild to moderate cases of indigestion. You can invest in peppermint tea if you want, but for the best results, use your peppermint oil! Just mix a couple drops of pure peppermint oil into a glass of water and drink it—before a meal, after a meal, or whenever the need strikes. It is important to note that peppermint oil may be a bad idea for those with GERD or acid reflux disease. For individuals with these illnesses, the peppermint oil might cause the esophageal sphincter to relax too much, which can worsen acid reflux. 4. They can boost your energy levels—without the adverse effects of caffeine or nicotine. In a world where many adults rely on copious amounts of coffee to make the transition between asleep and fully conscious, be the one who transcends the need for caffeine. 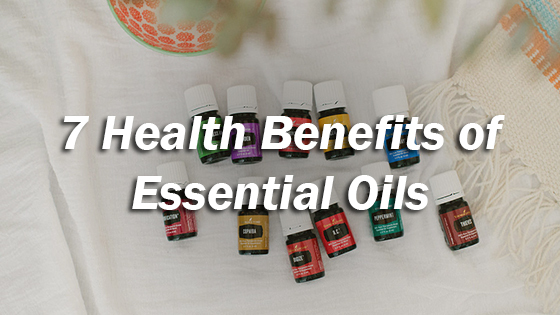 While lavender and chamomile are good for slowing things down, other essential oils stimulate the nervous system to increase wakefulness, energy, and motivation. Citrus oils like lemon, orange and grapefruit are all excellent for boosting energy levels. So are cinnamon oil, mint oil, and ginger oil. Use them the same way you would use your bedtime oils—except in the morning, of course. Never has moisturizing your face been so invigorating. 5. Eucalyptus and peppermint oil will clear out your sinuses. Put down the over-the-counter nasal sprays and give essential oils a chance! Both of these oils are a great way to naturally open up your sinuses, decrease the production of mucous, and boost your body’s ability to fight off infection. Rubbing a couple drops of these oils into your neck and chest should help open up the airways and help you breathe easier. 6. Lavender and tea tree oil will alleviate your skin-related woes. Whether it’s acne, psoriasis, eczema, rashes or bug bites, these oils will calm the inflammation, reduce itching, and help prevent infection. Use a cotton swab to apply tea tree oil to your blemishes or mix lavender into your favorite healing skin cream. 7. Many essential oils reduce inflammation. If you’ve been paying attention to the latest research on chronic illness, you’re aware of the fact that many of our most-feared diseases are exacerbated by (and some would argue caused by) chronic inflammation. Many essential oils are good for calming the immune response, reducing inflammation and promoting healing. To reduce inflammation in the body, try one of these oils: rose, lavender, chamomile, frankincense, ginger, helichrysum, or patchouli.